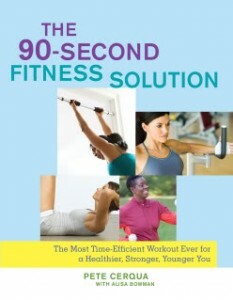 We Have a 90-Second Fitness Solution Winner! After some great entries and pleas to win the recently reviewed The 90-Second Fitness Solution we have a winner. And that winner is…Anne! Anne, please email your mailing address to contact@fitbottomedgirls.com, and we’ll get your book in the mail ASAP. Thanks to all for playing! If you didn’t win the book this time, pick it up on Amazon for cheap!